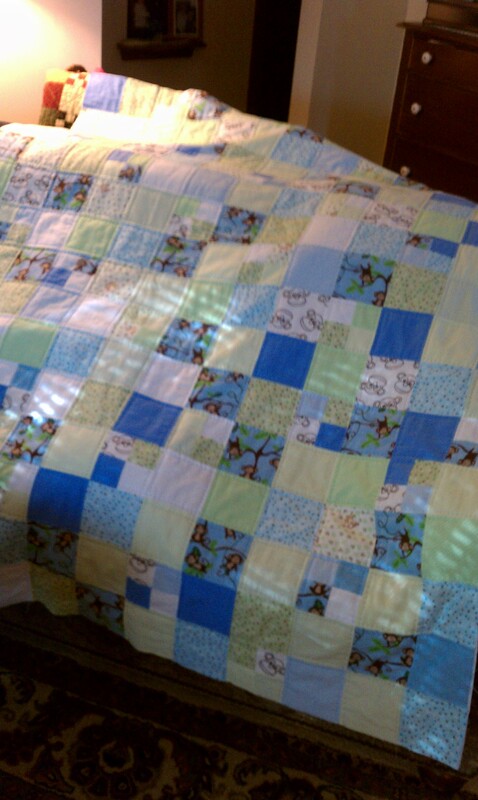 It is Finished and Hand Quilting Lives! Yes…it is FINISHED! 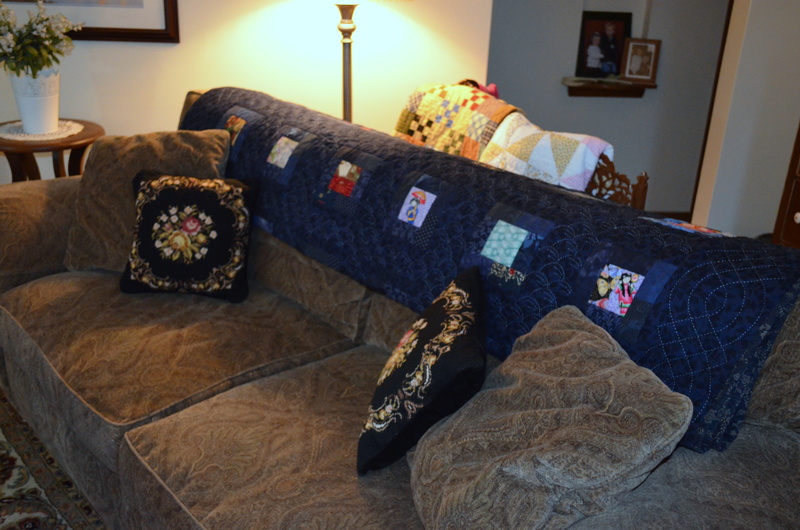 But first, I want to share a little story about the small quilt group of which I am a member. There are only three of us.These are the two ladies who have helped me quilt my king-sized quilt this past year, Carol and Jessica. 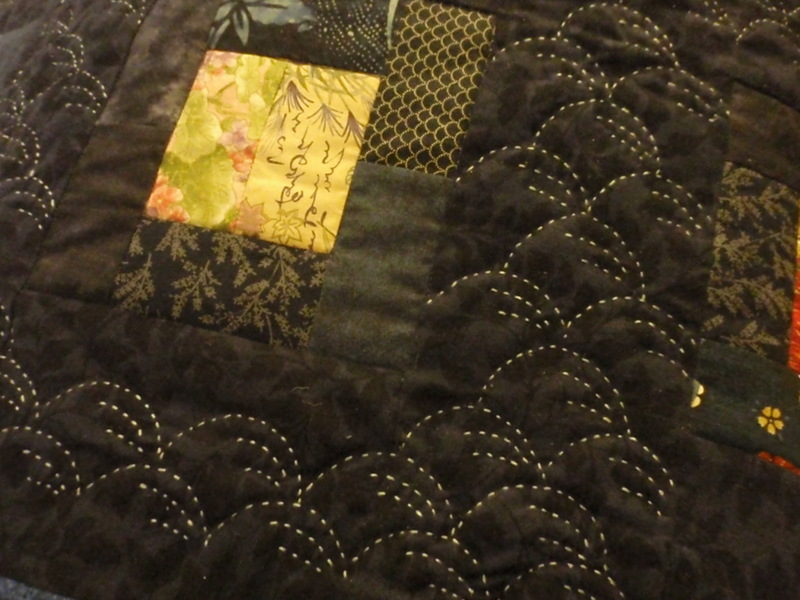 I have been quilting with these lovely ladies for several years now, but they have been together for eons! At one time there were four of us, but sadly Barb passed away a few years ago. 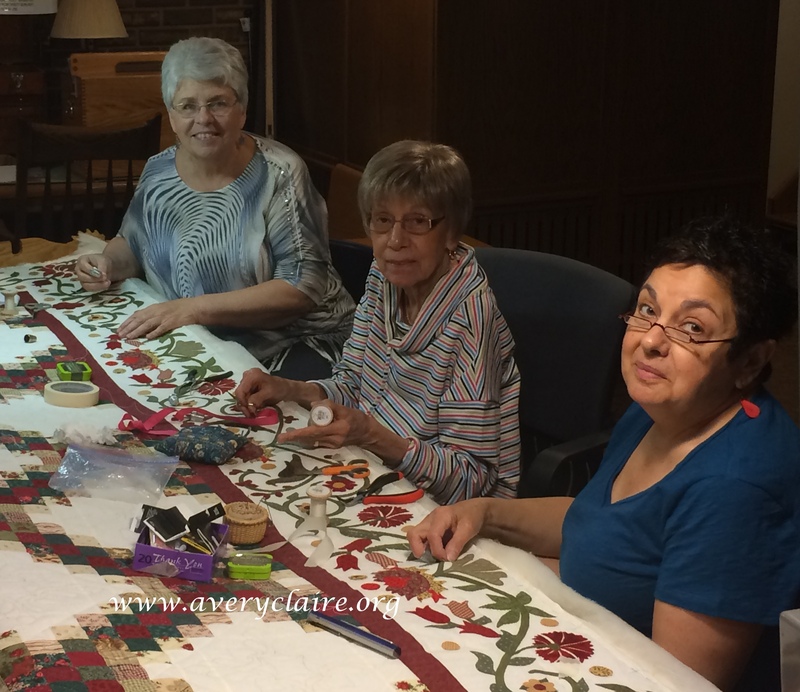 Every Friday they came to my home and helped me quilt from 9:30 to 3:00. I provided lunch. 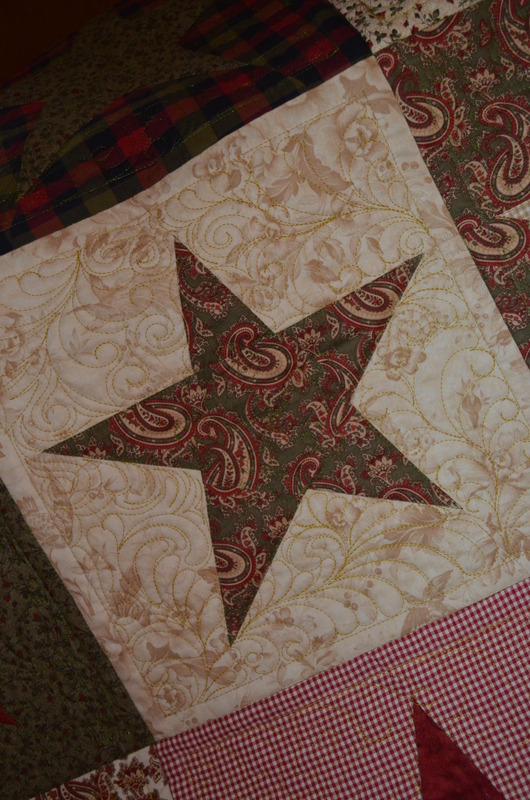 Now that my quilt is finished, we will go to Jessica’s house to quilt a quilt for her until it is done, then we will be off to Carol’s house for her turn. Then the rotation begins again. 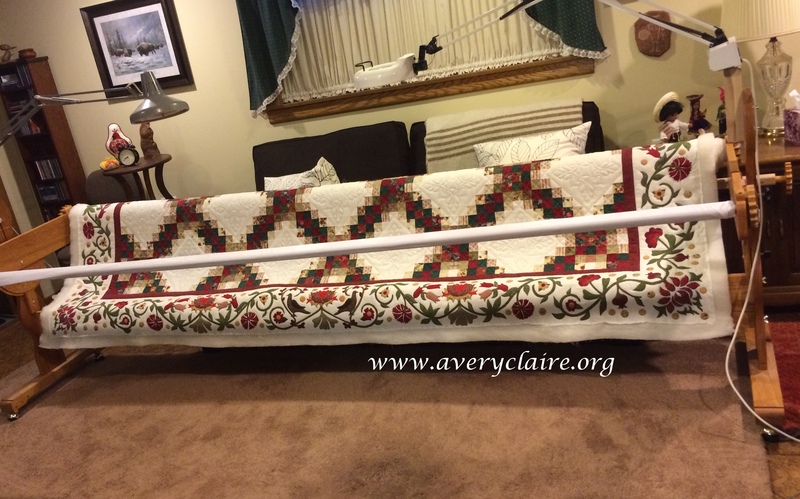 They graciously agreed to help me with this huge 116×116″ quilt because I have a king sized bed and wanted an heirloom for my bed. I will be eternally grateful to them. I actually had tears in my eyes as we put the last stitches in the binding! I was so grateful for their help! We started it on June 27, 2014 and it was just completed, a little over a year later. 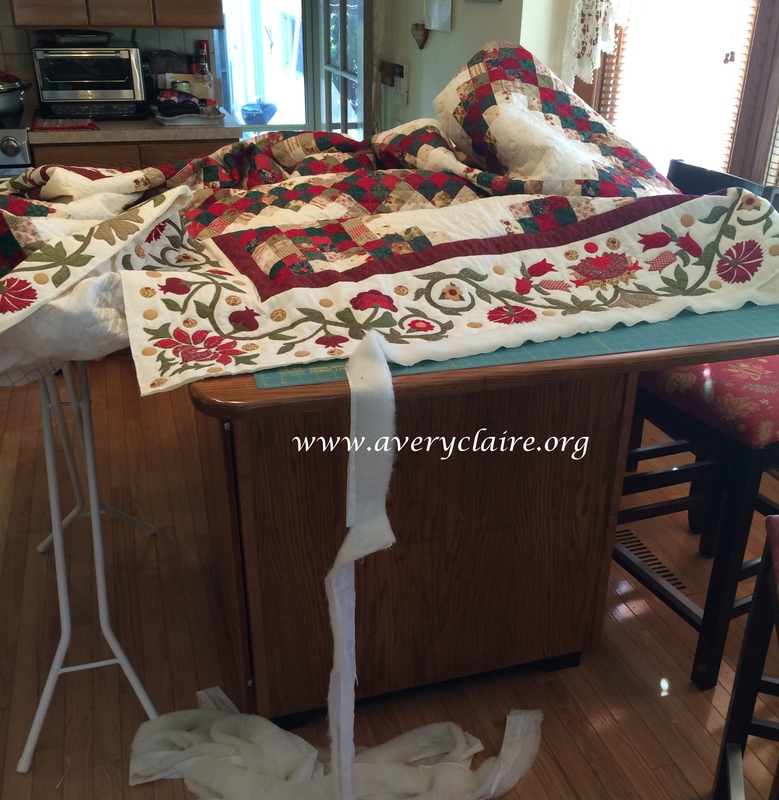 There were many Fridays when we were unable to quilt due to family fun, illness, or vacations, etc. 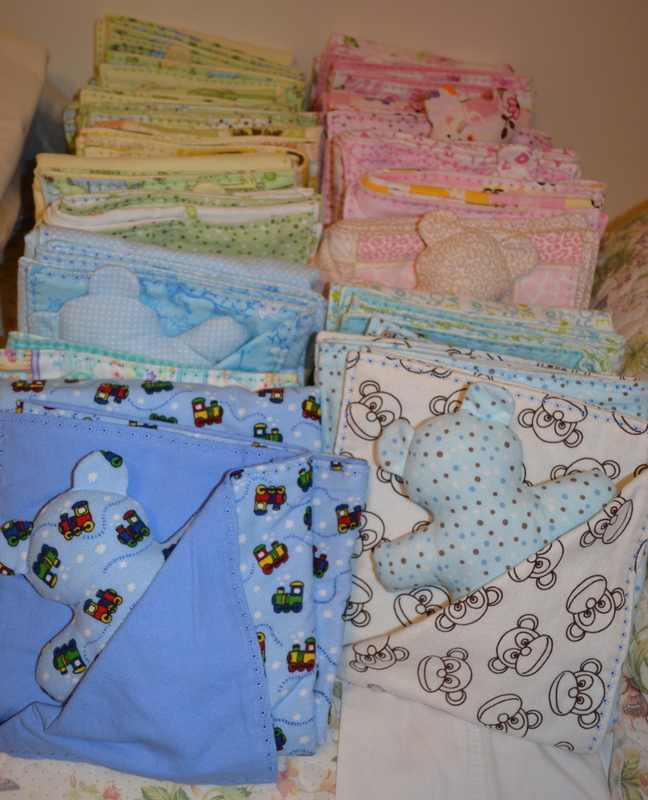 (35 weeks of actual quilting). I worked on it during the week whenever I could in between our Fridays. 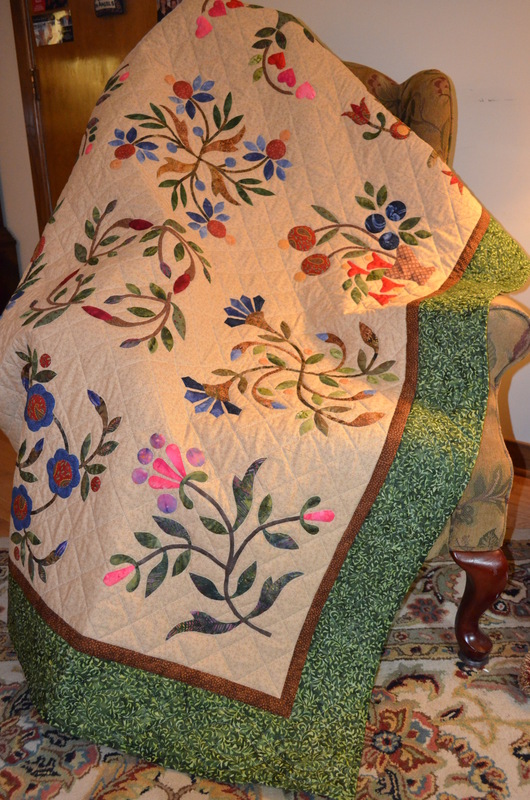 We spent about 120 hours quilting together the three of us and I spent another 108 hours quilting on my own. Carol is our most experienced quilter. 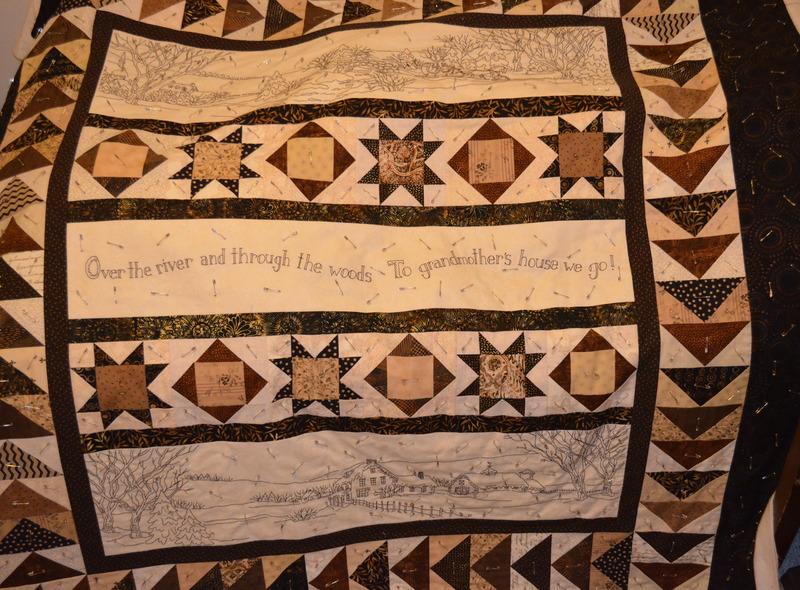 Her home is filled with beautiful quilts. She has made so many that she is unable to count them from all the years past! 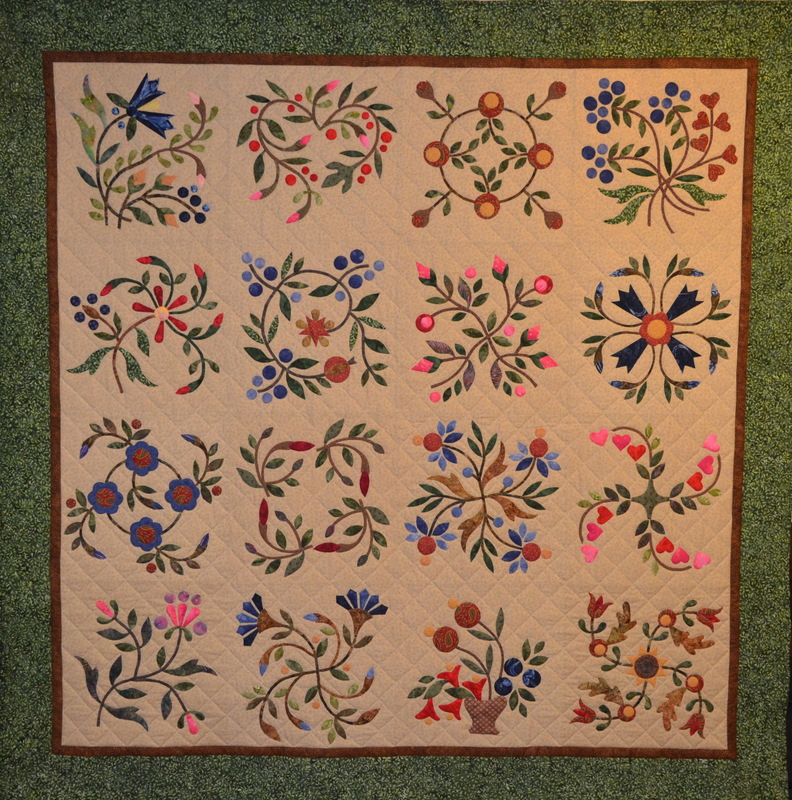 Hand-piecing or hand-quilting was often done while traveling on the road with her husband. Carol has a wonderful color sense. When we have a problem with something Carol always can see the answer first. It is a pleasure to have such expertise knowledge available as she is quite talented. Each week before we quilt we have our tea-time and do a “show and ask.” Truly it’s educational and FUN! Jessica has been quilting for a long time as well. 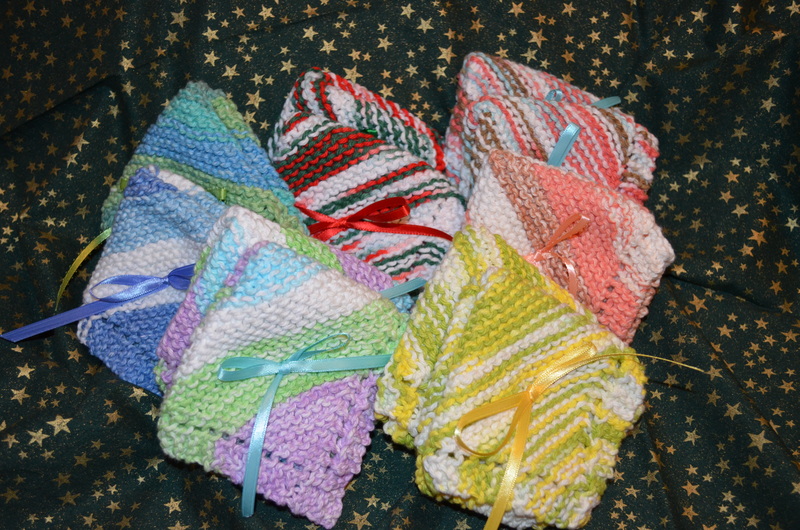 She likes simple patterns and has made lots of them. 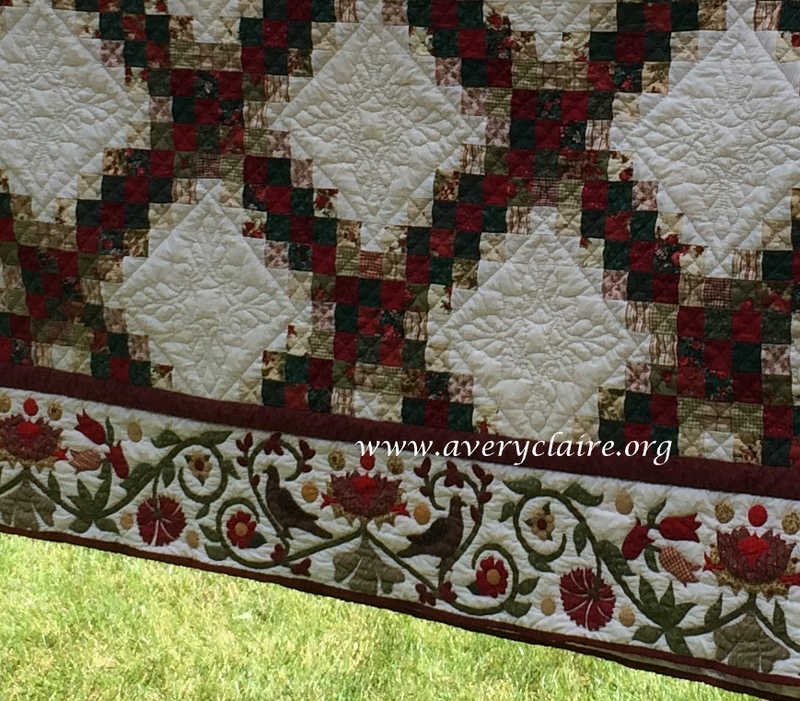 A few years ago she began a business making table linens, aprons, quilts, and an assortment of other items. 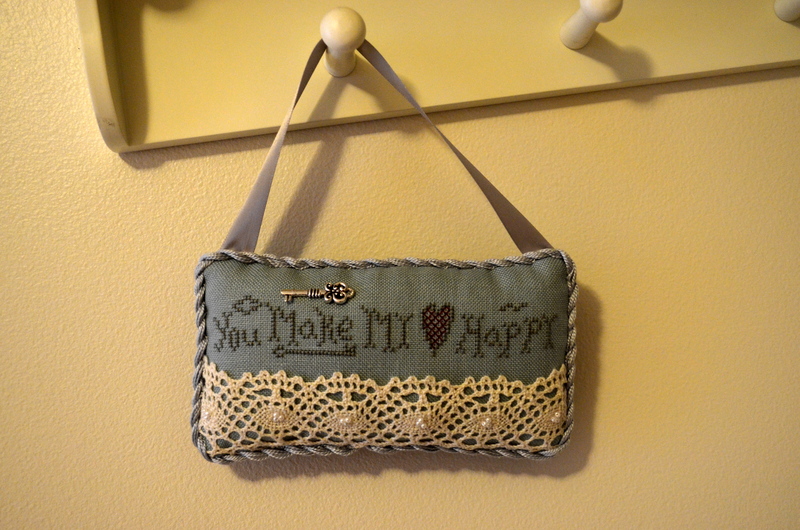 She has a website called Fiber Embellishments. 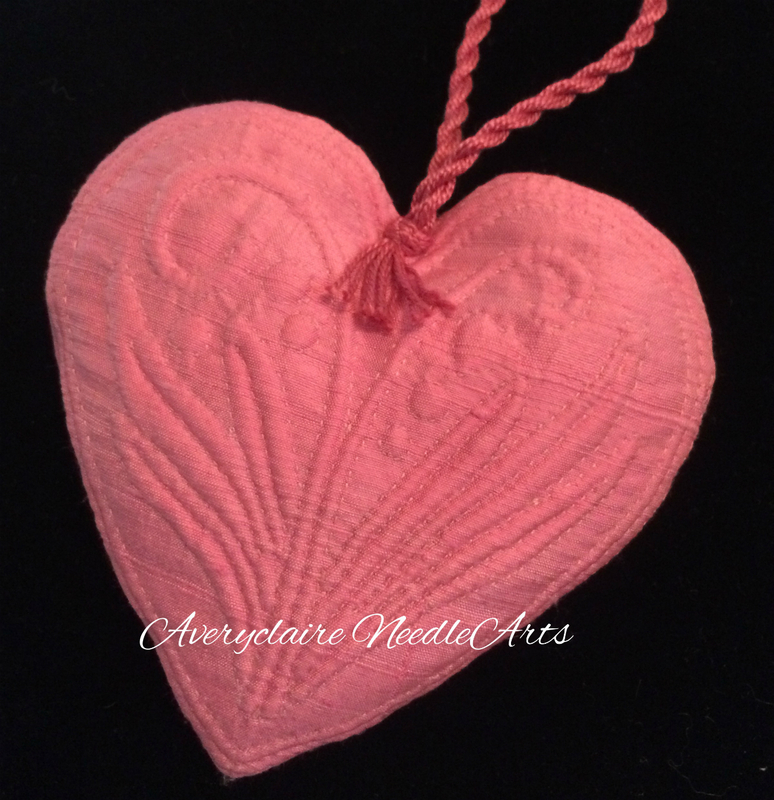 Take a minute to browse her website and see the beautiful things she has made and offers her customers. 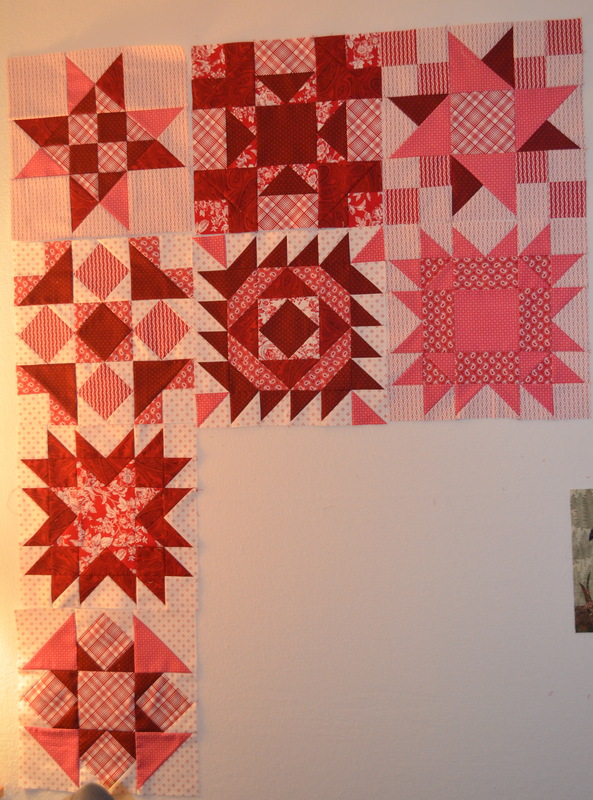 Jessica is in the process of replicating an antique quilt that she owns. It has seen much love and is in sad need of replacement. So that will be our next quilt to work on when mine is finished. 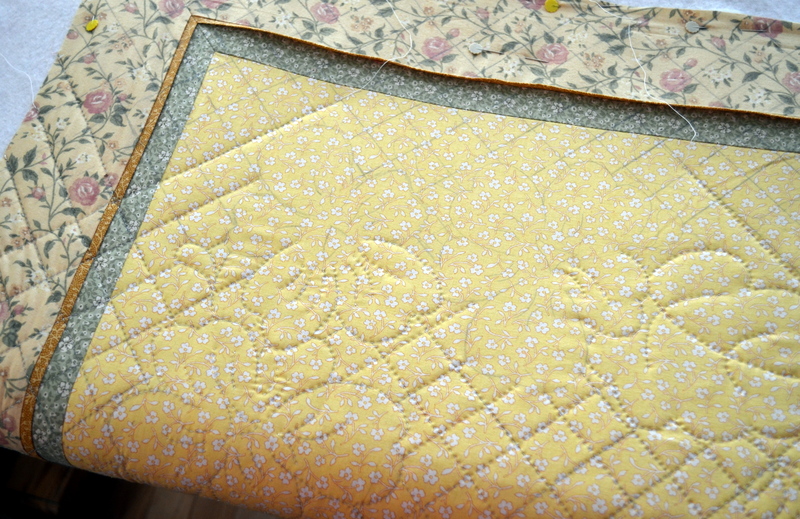 After we finished the hand quilting….it came off the frame. Then I spent some time squaring up the edges and trimming off the extra batting and backing. 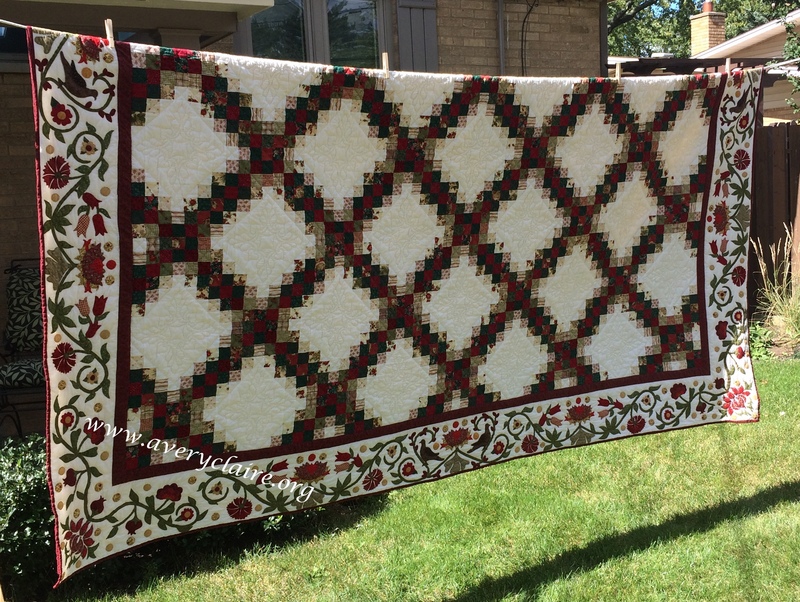 Once it was all trimmed Carol and Jessica helped with the binding and soon it went into the washing machine and then outside to dry first in the shade of the morning sun…then in the bright sunlight. 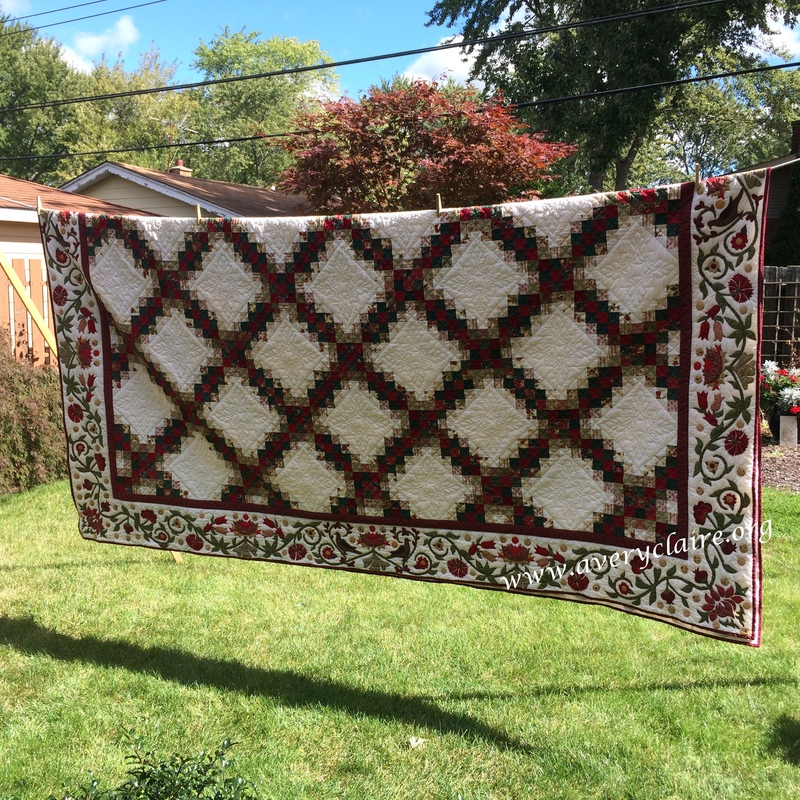 It got so windy that even rocks on the corners of the quilt couldn’t hold it down…so I hung it on the line to let the autumn breezes do their thing! And FINALLY on the bed! It looks so beautiful and the autumn breezes made my whole room as fragrant as the outdoors! 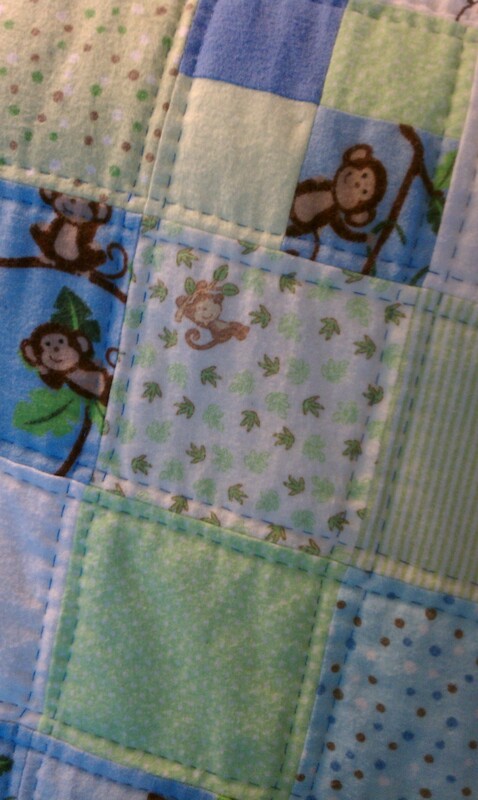 I can vouch that having a hand-quilting group, however small, is wonderful. We have become good friends and enjoy spending the day together. 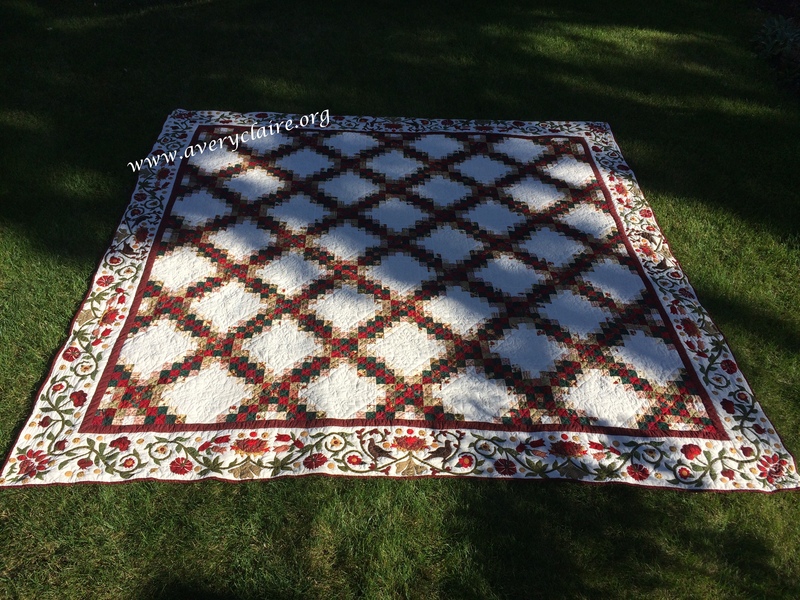 If you are a hand-quilter, you should consider something similar. It is delightful and nice to have some help with hand-quilting! And lots of fun. 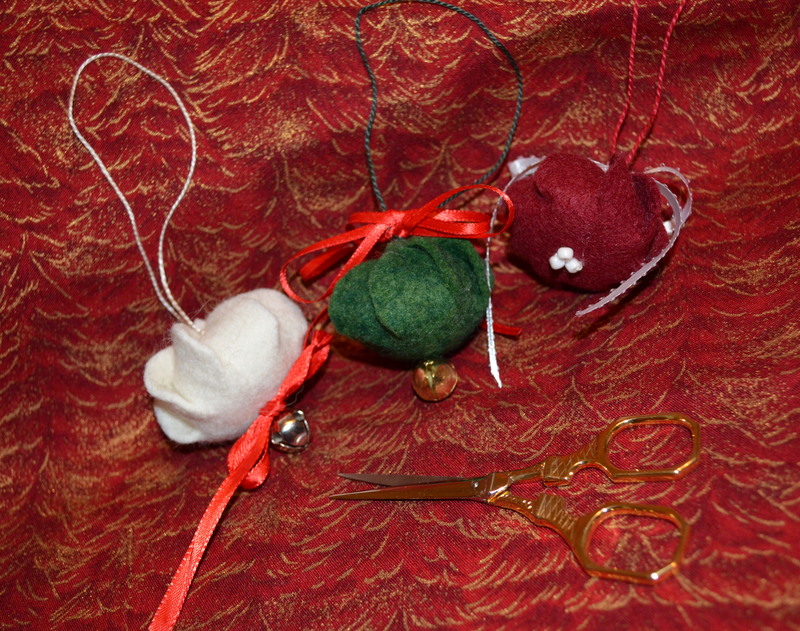 Well friends, I am trying to keep to my New Year’s hopes and have created a random rotation of ten projects. Here are some photos of the work IN PROGRESS. Yes…I am actually posting again!! 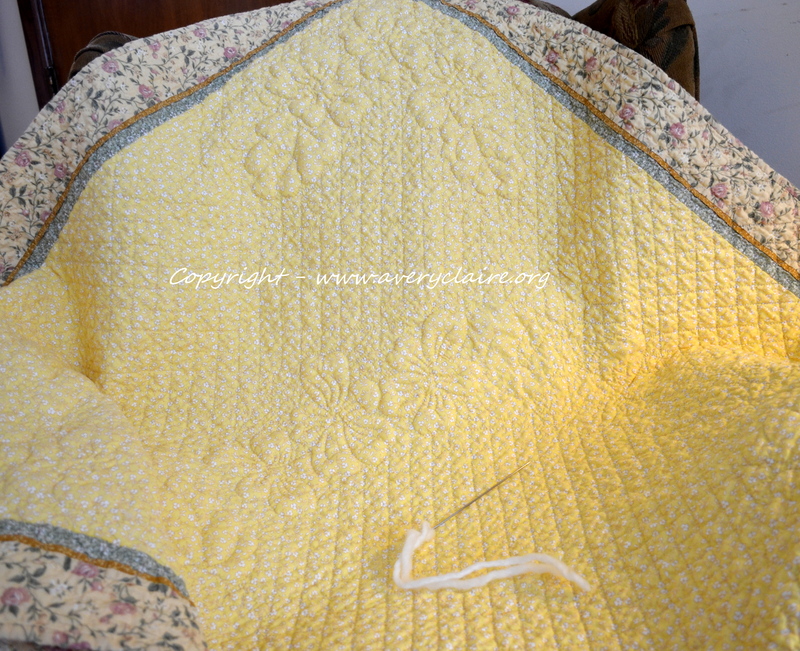 First is my yellow whole cloth quilt that is nearly finished and I hope to have it done SOON. You can see that I am nearly at the end of the quilting. I am hoping to do some trapunto work when it is finished in the floral areas…but we will see. 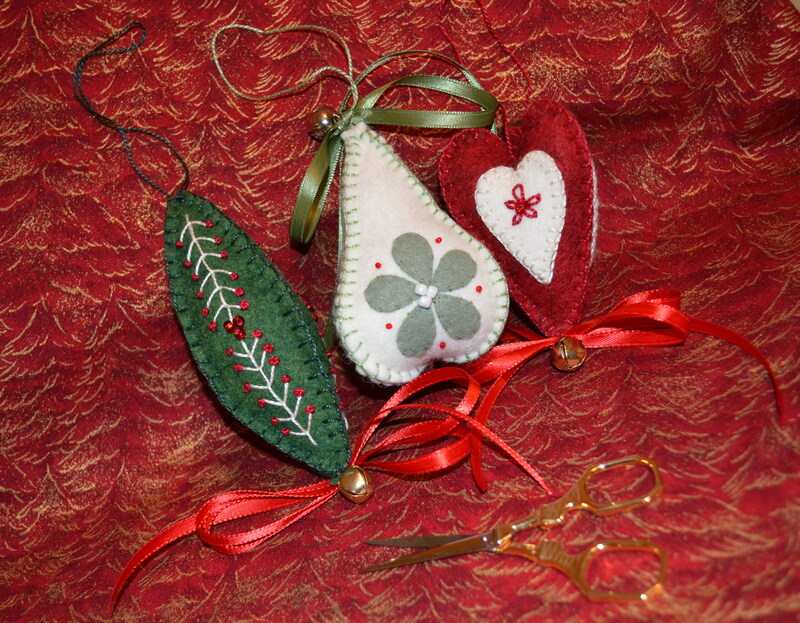 Next is a “flock” of ornaments. I began them too late for Christmas, but it will be nice to have them done for next year. 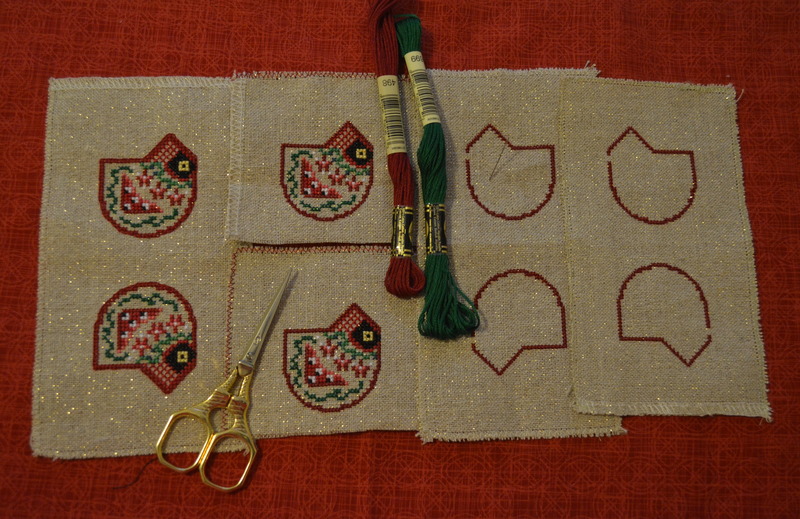 The pattern is Cardinal Tweet from Just Nan. 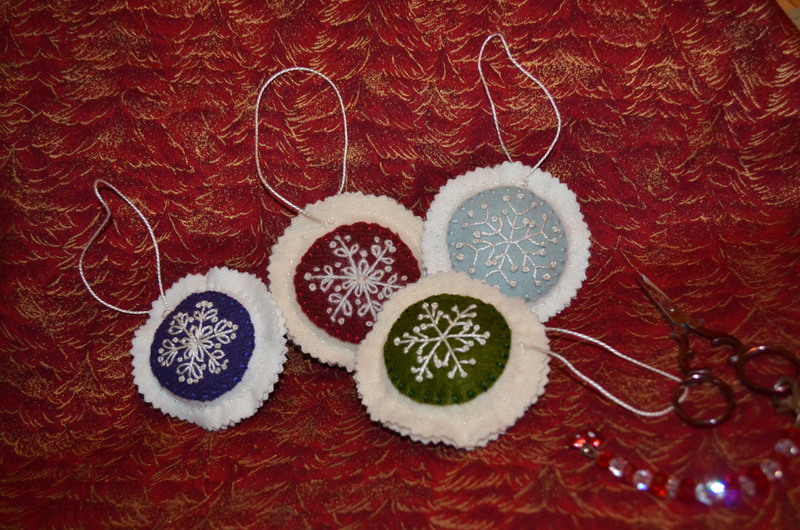 I decided to make four of them (they are two sided). Making four seemed just as easy as making one! 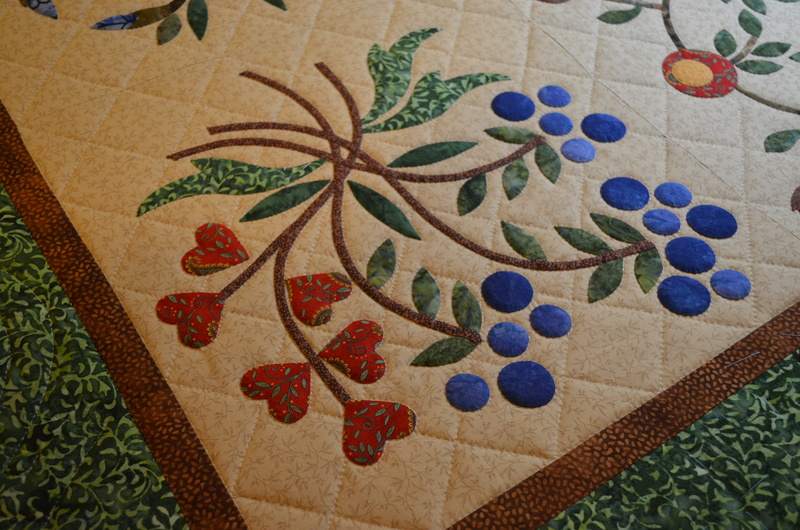 Here is my hand-appliqued quilt top. It is an Editar Sitar pattern (Sweet Sixteen – there are 16 blocks – 76 x 76) done in colors of my choosing (love that stash). 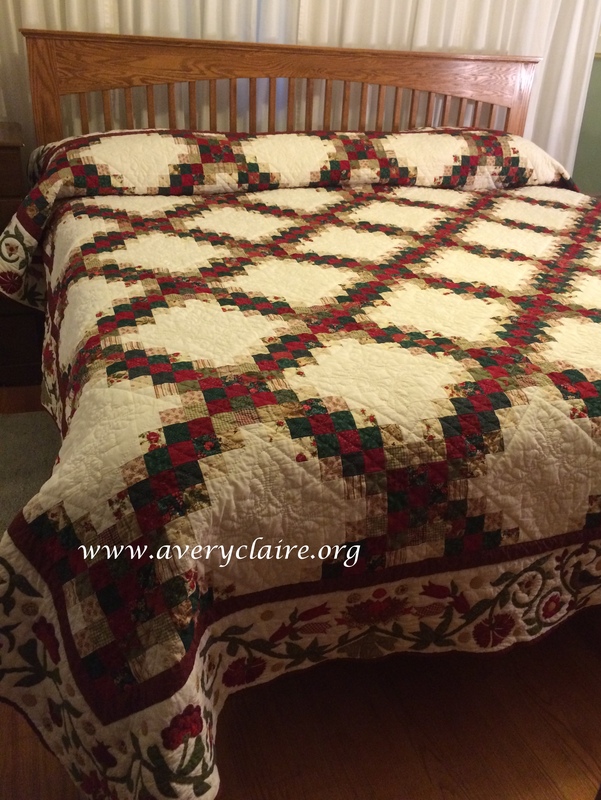 It took me about a year to do the 16 appliqued blocks and then it was about 3 months to be hand-quilted. 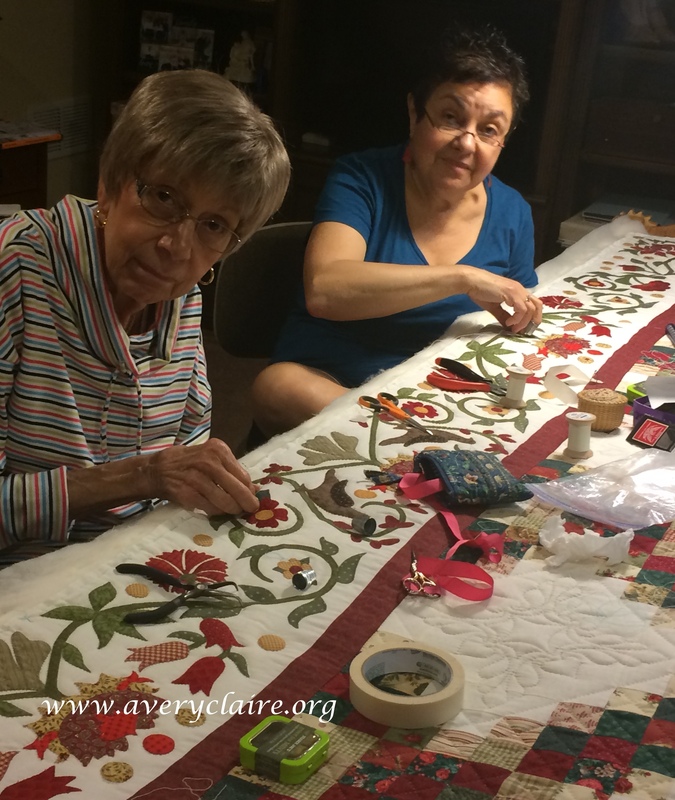 My two hand-quilting friends, Carol and Jessica, came faithfully each Friday to help me finish the quilt top. Lots of lovely days spent together over the quilt frame and lunch. We worked from 9:30 to 3:30 every Friday. 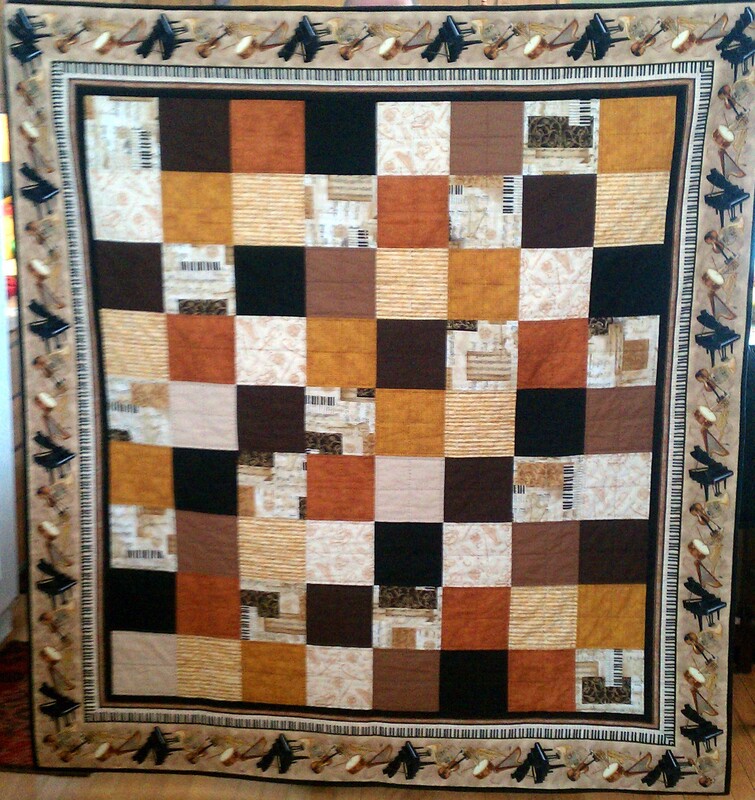 I couldn’t be happier with it and it is now one of my favorite quilts. Some years ago I won some blocks from my guild. “Bento Box” they were called. 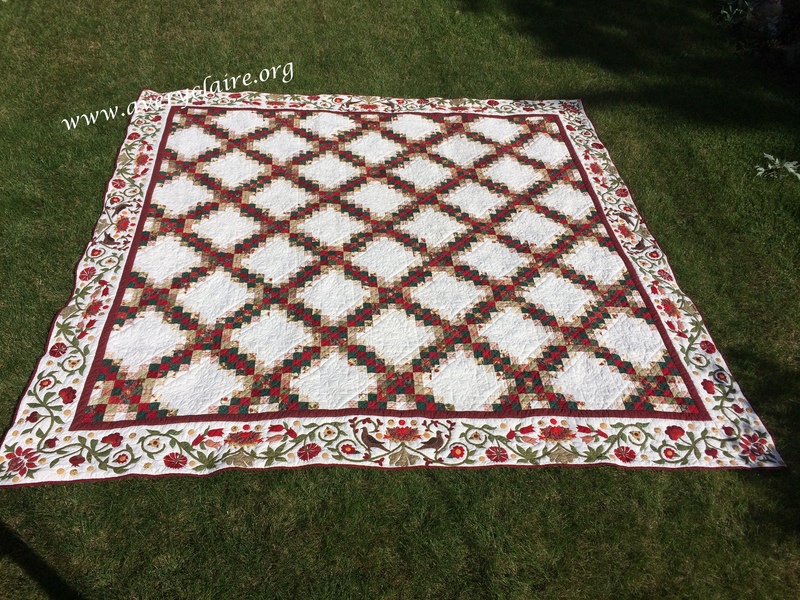 I won 16 blocks–not enough for a quilt. So a friend donated to me a small bag of oriental scraps and I made 32 more blocks for a total of 48 and made a twin size quilt using wide indigo sashing. 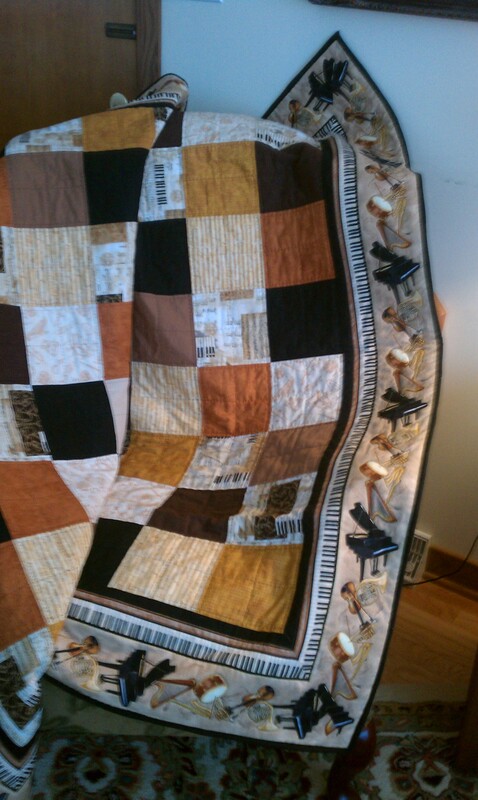 Then I spent a very, very long time hand quilting it with a clam shell design. It now hangs over the back of my sofa. It feels SO GOOD to have this one finished. 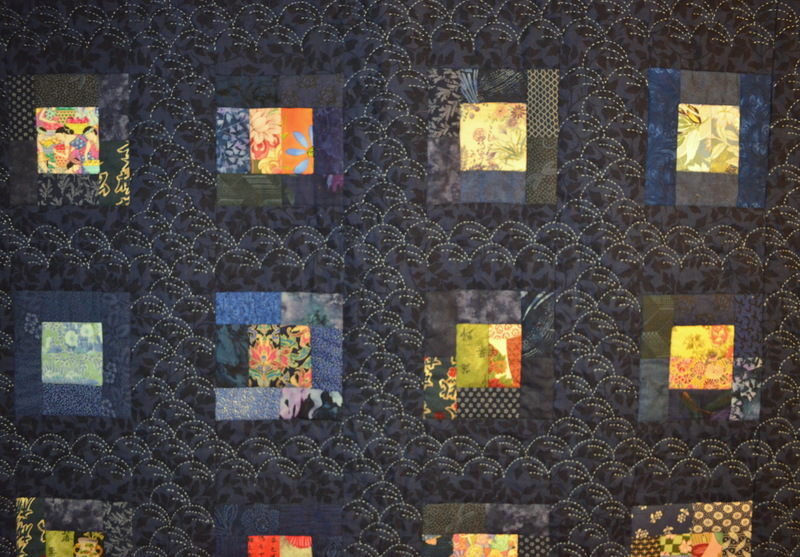 Love the light blue sashiko quilting…looks lovely on the indigo. 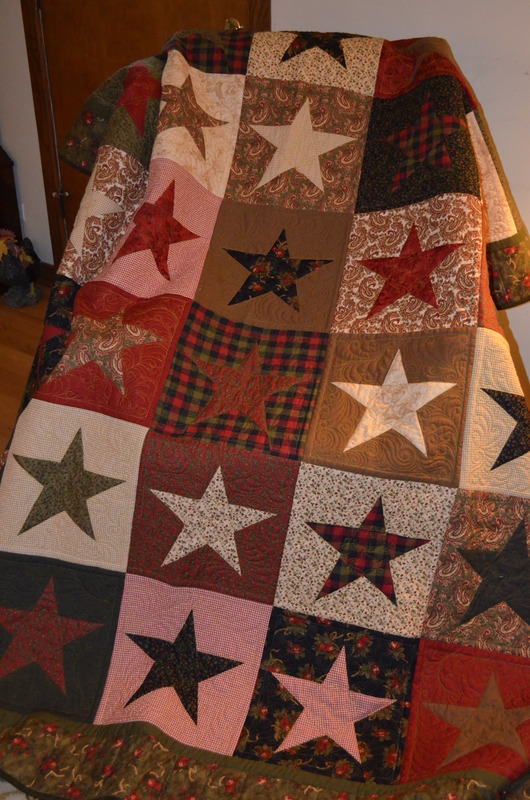 I have two more quilts I am actively working on now. I will show those in the next post or two. Oh, and another one coming back from the long-arm quilter soon. Can’t wait to see it finished! Hope all of you out there are having fun working on using up stash, finishing UFOs, and diligently working on your WIPs. My family tells me that people could do their quilt shopping here. I don’t think so, because I couldn’t part with my fabrics or patterns or books. But perhaps I do have enough stuff that I could quilt and do needlework for at least another 20 years and not have to buy anything! Of course that’s ridiculous….because I never seem to have just the right pattern, or just the right fabric and have to go shopping myself!